The National School of Judges with the support of the USAID New Justice Program, EU Anti-Corruption Initiative (EUACI), EU Project “Pravo – Justice”, EU Advisory Mission (EUAM), “Support to Judicial Reform Project” Canada and International Development Law Organization (IDLO) has launched a three-week orientation program for the winners of the competition for judicial positions in High Anti-Corruption Court (HACC) and its Appellate Chamber. 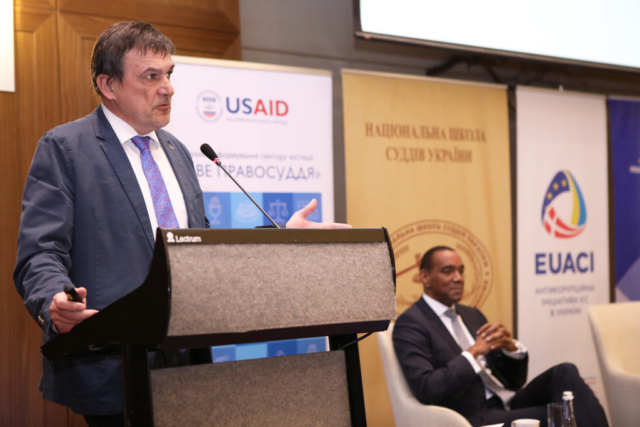 The goal of the program is to strengthen the judges’ knowledge and skills to be effectively applied in corruption cases proceedings. The winners of the competition for judicial positions in the High Anti-Corruption Court and its Appellate Chamber were greeted by the Supreme Court Chief Justice Valentyna Danishevska, Rector of the National School of Judges Mykola Onyshchuk, Head of the High Qualifications Commission of Judges Sergii Koziakov, the United States Ambassador to Ukraine Marie Yovanovitch, Head of the Delegation of the European Union to Ukraine Hugues Mingarelli, Head of EUAM Kestutis Lancinskas, Ambassador of Canada to Ukraine Roman Vashchuk, and Chairman of the Public Council of International Experts Sir Anthony Hooper. 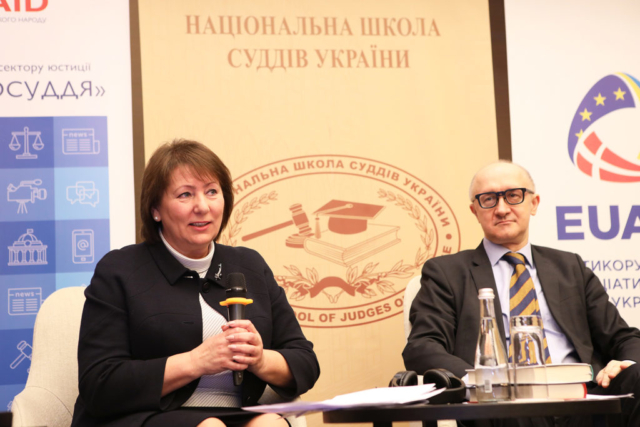 In this context, in Justice Danishevska’s opinion, proper informing of the public on operations and decisions made by the court is of paramount importance. 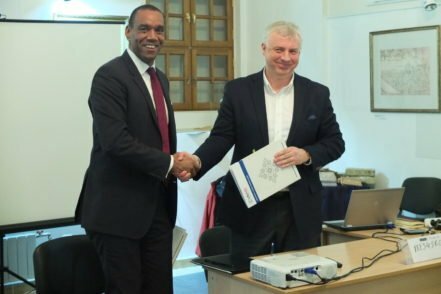 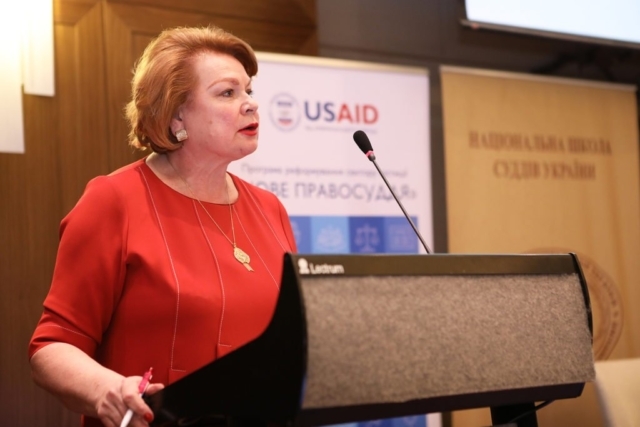 At the same time, the Head of the HQC noted that the competitive selection of HACC judges is just the beginning of the work under conditions of great responsibility as the public and the HQC will monitor operations of the newly established institution. 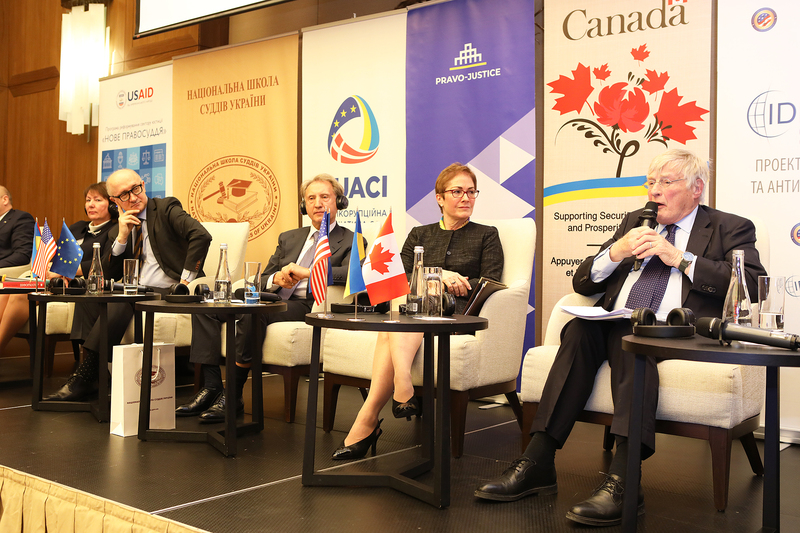 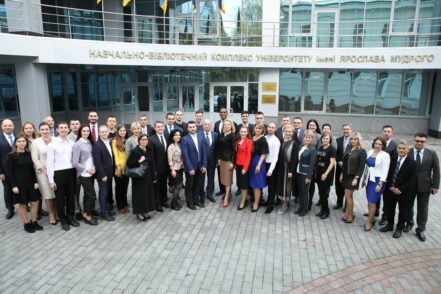 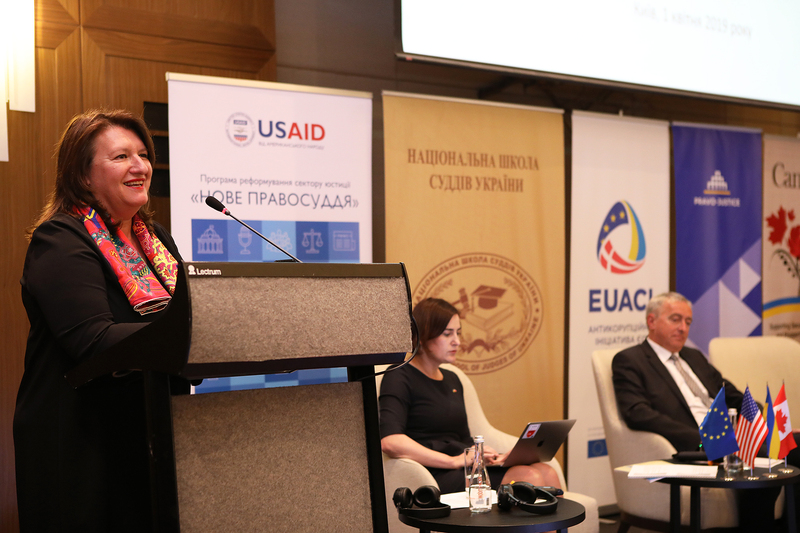 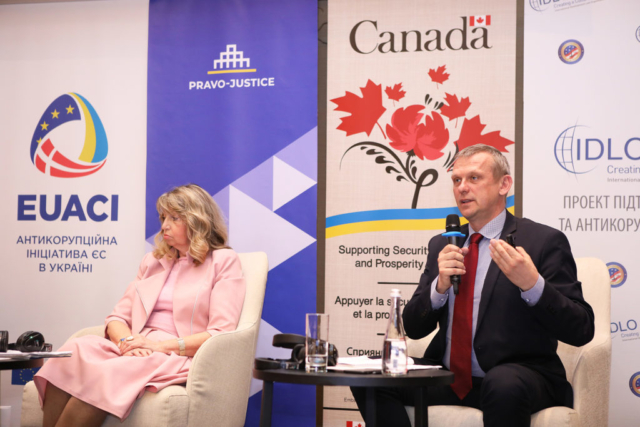 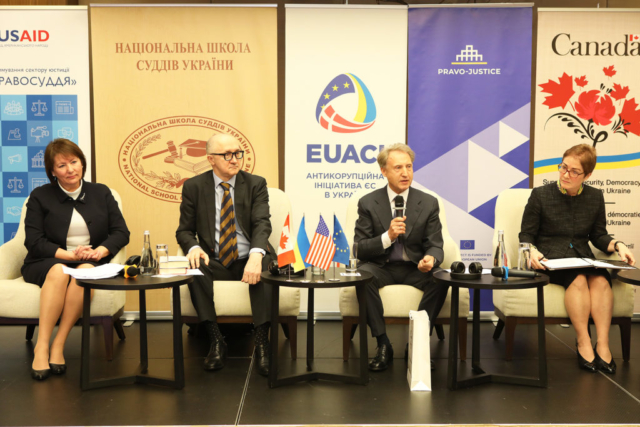 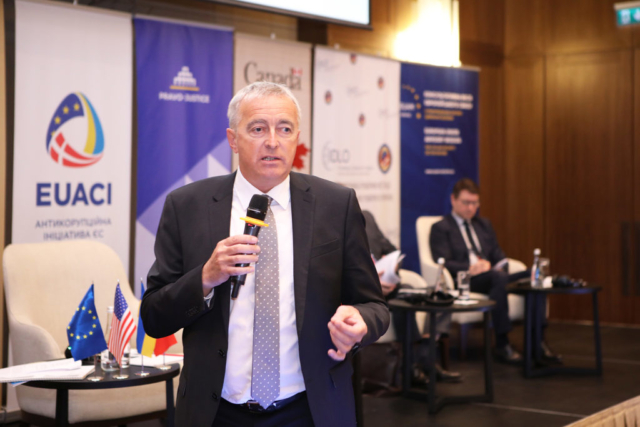 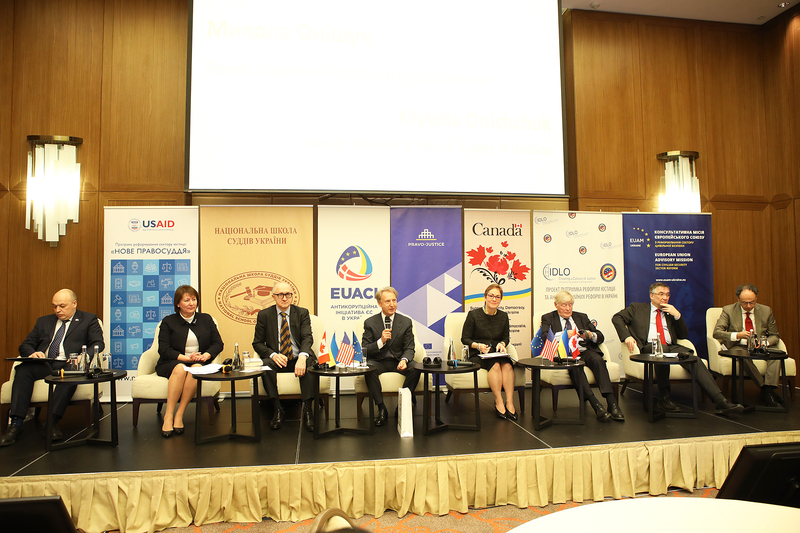 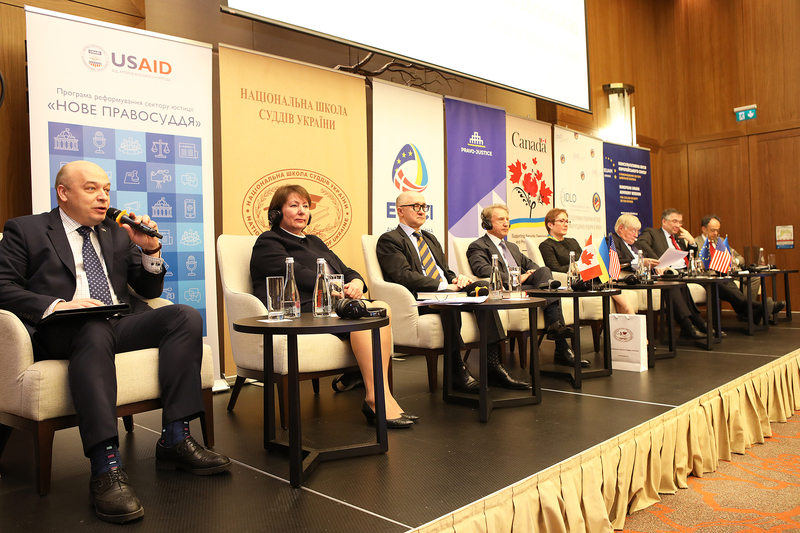 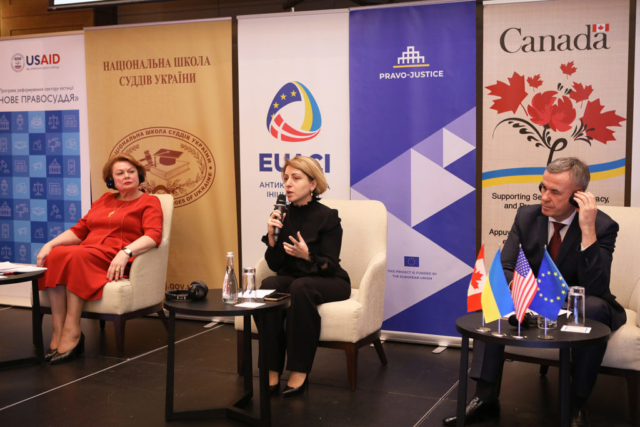 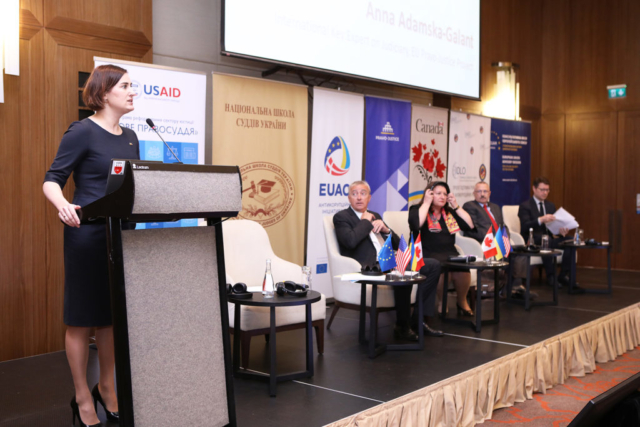 The United States Ambassador to Ukraine Marie Yovanovitch emphasized that Ukrainians have been remarkably consistent about their priorities since the Revolution of Dignity. 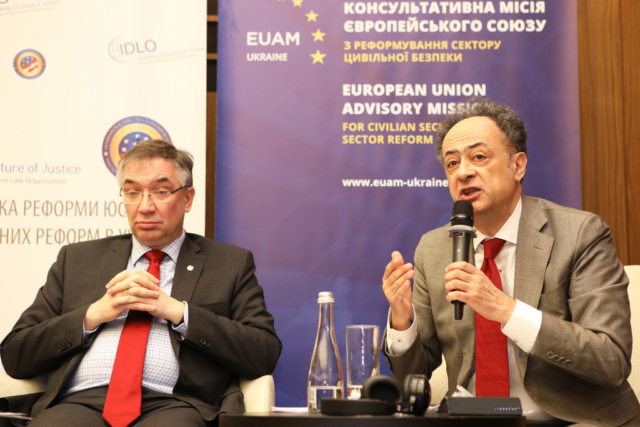 “And at the top of that list is, first of all, a successful conclusion to the war in the Donbas. 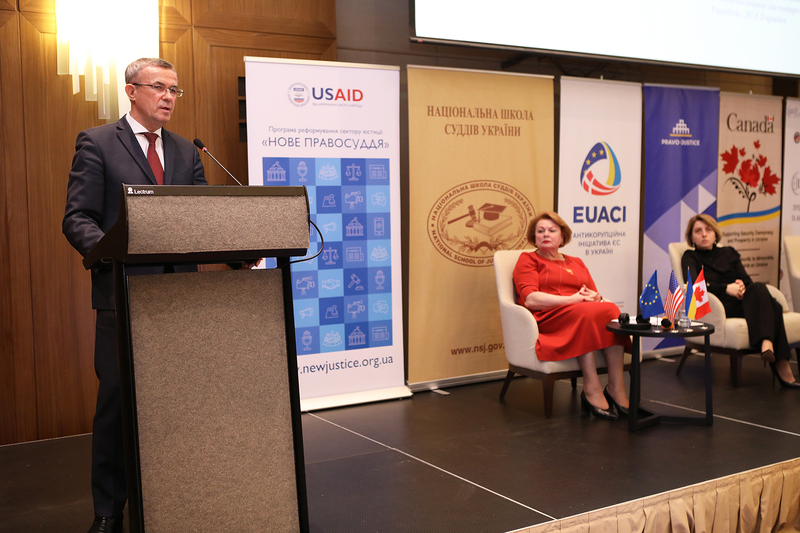 Secondly, a prosperous economy for Ukraine, for all Ukrainians. 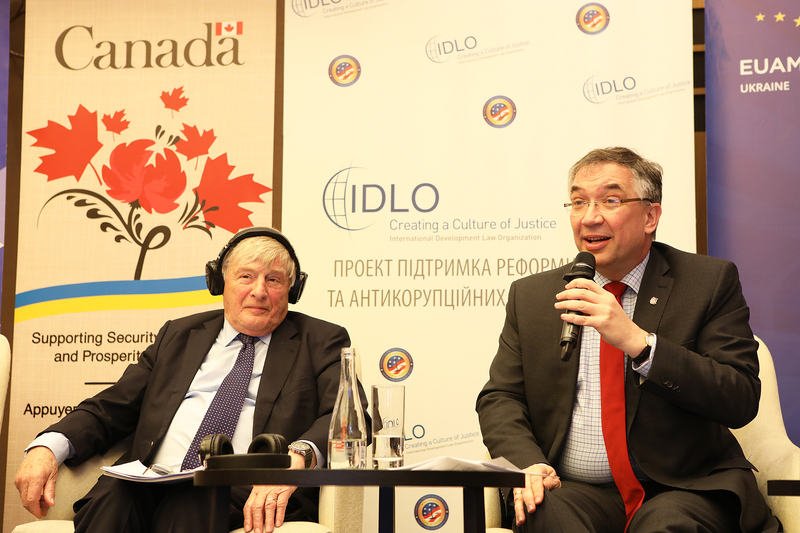 And thirdly, a government that respects their rights and treats all citizens equally under the law. There are so many reforms that have progressed over the past five years. But it’s difficult, I think, to dispute that the fight against corruption is the reform for which the Ukrainian people have fought the hardest and waited the longest,” she said. 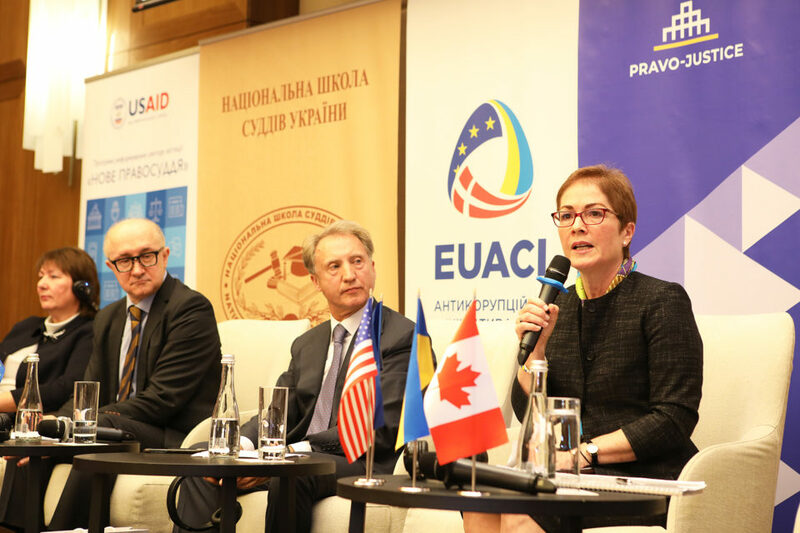 Marie Yovanovitch stated that a specialized court to adjudicate high-level corruption cases is absolutely critical. 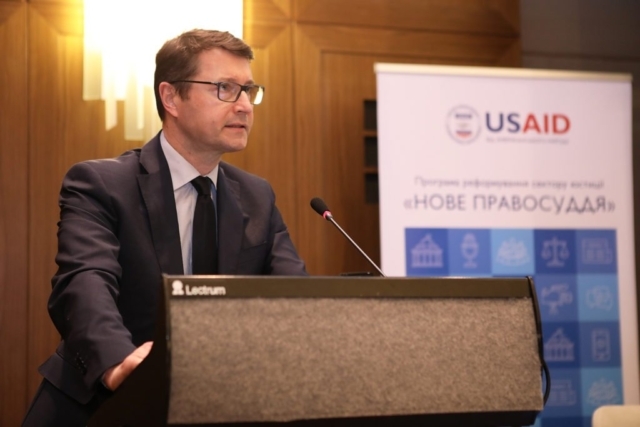 The Chairman of the Public Council of International Experts Sir Anthony Hooper elaborated on achievements in the competitive selection of HACC judges. 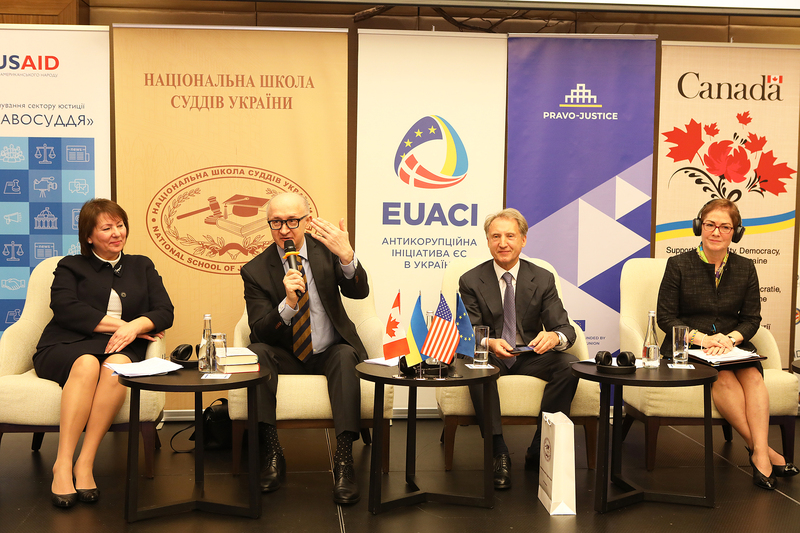 According to him, Ukraine is the first country in the world which engaged foreigners in such process and did it in a transparent manner. As establishment of the High Anti-Corruption Court is a considerable step in fighting corruption, which is intended to consider corruption-related cases effectively without any unlawful influence according to public expectation, USAID has been facilitating this process and study of best international practices of establishment and operation of anti-corruption courts and status of judges of such courts since 2016. 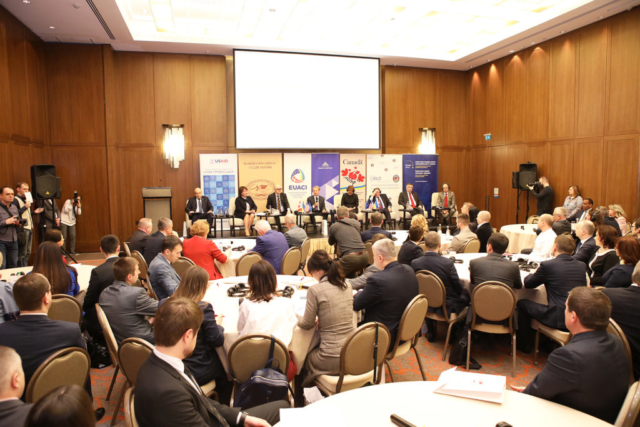 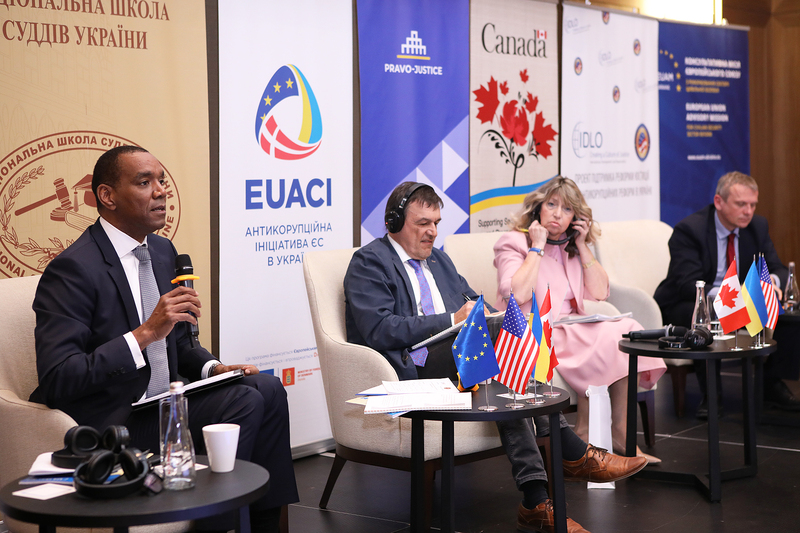 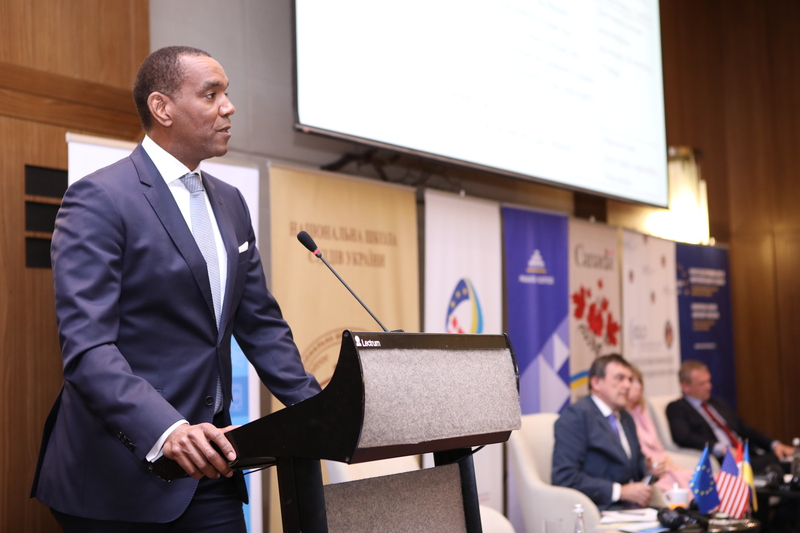 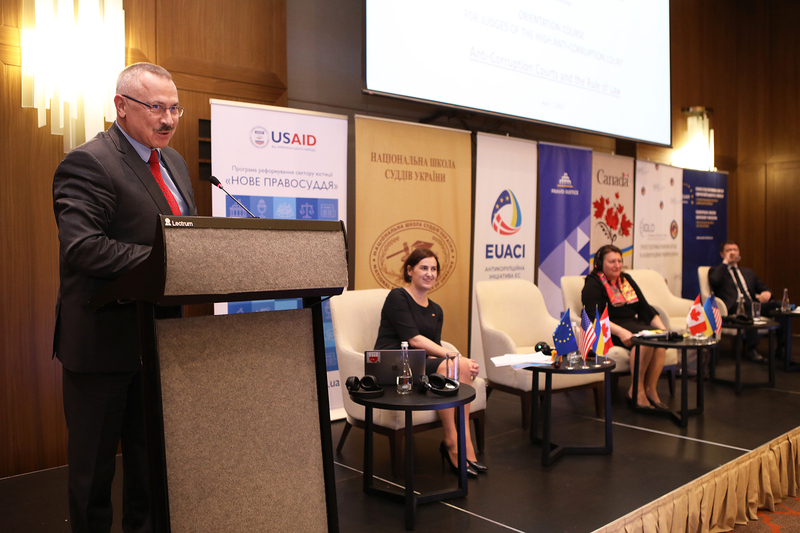 The agenda of the first day included topics related to the experience of the functioning of specialized anti-corruption courts in other countries and the practical application of the rule of law principle in criminal proceedings. 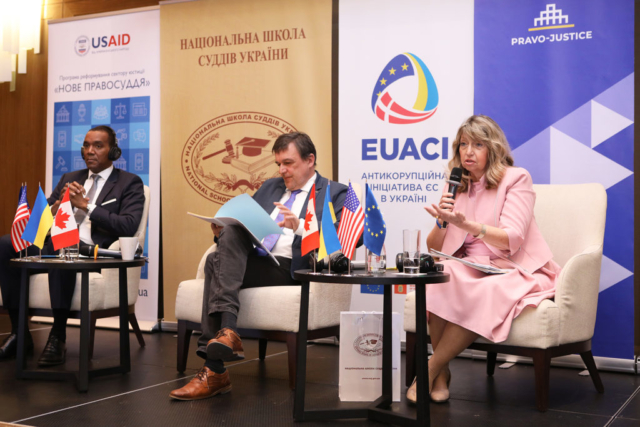 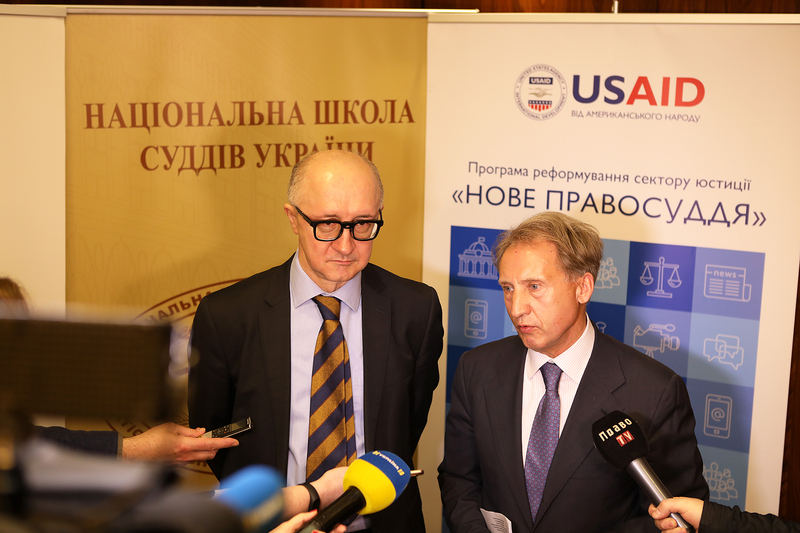 Further on, with the participation of Ukrainian and foreign experts and trainers, the future justices will delve into the issues of the importance of judicial independence, judicial ethics and integrity in resolving complex criminal cases; will learn about the human rights protection standards developed by the European Court of Human Rights while administering justice in cases involving corruption and with international anti-corruption standards and concepts; analyze the specific features of crimes falling under the jurisdiction of the High Anti-corruption Court, and the criminal-procedural issues related to the trial of such crimes; identify the criteria for effective communication in judges’ professional activities, etc. A significant part of the program is devoted to the practical aspects of opinion writing.